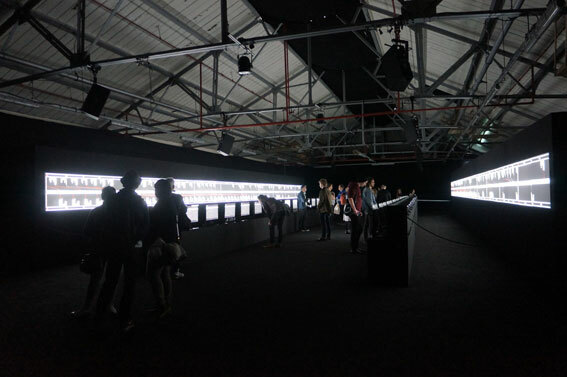 Supersymmetry is an installation by Ryoji Ikeda, who is a leading electronic composer and visual artist focusing on mathematical precision and aesthetics. The work is developed from his exchanges with scientists and engineers during his stay at the European Organisation for Nuclear Research (CERN). “The Crystal World Open Laboratory is a five day lab of experimentation, crystallization and de-crystallization starting from the premise that computers are highly ordered set of minerals. The White Building, London, with Martin Howse, Ryan Jordan, an d Jonathan Kemp”.